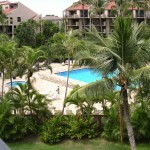 Kamaole Sands Maui Condo Rental. 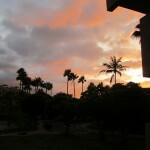 Come and stay with us at the best resort on Maui. 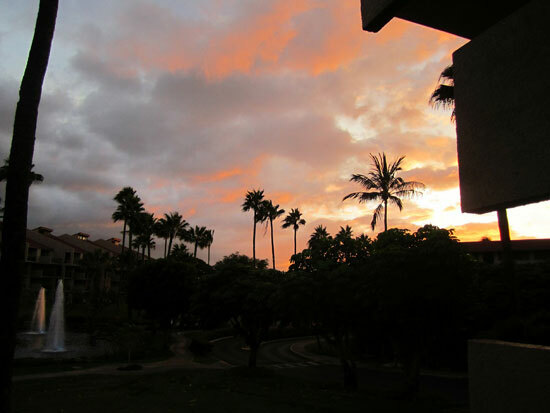 From our lanai you’ll enjoy a super view of Mount Haleakala, plus partial ocean view and the Island of Kahoolawe, all while overlooking lush tropical gardens with fish ponds, fountains, flowers and lots of foliage. Our condo, ‘Behr’s Retreat’, is a 1 bedroom 2 bathroom unit with an upgraded and fully equipped kitchen including filtered water and all new appliances. Floor tile through out except for the living room and bedroom which is wonderful carpeting. New lamps, bedding, towels, dishes, flatware, plus much more. A queen size bed and a new sofa bed with queen size mattress, and a fully equipped kitchen with everything needed to prepare most any meal. An all new new shower in the hall bathroom with a custom etched window and new tiled vanity tops, sinks and faucets. Fully furnished with everything you’ll need and we provide all your linens and towels. Check out our reasonable Rate Schedule. 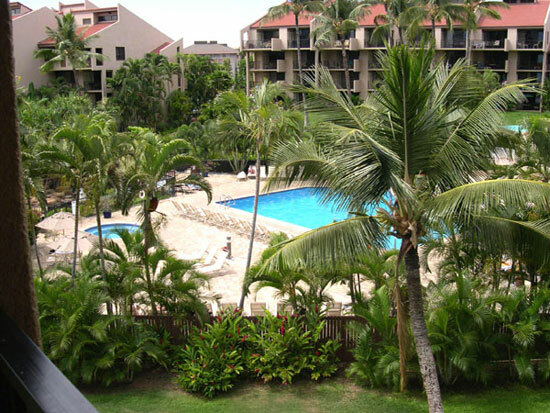 Gorgeous Kamaole Sands Maui Condo Rental in South Kihei next to Wailea. Fifteen acres of lush tropical grounds with fishponds, fountains, waterfalls, and abundance of tropical plants and flowers. The amenities include a large pool, a large flagstone sun deck, two Jacuzzis, a children’s wading pool, four tennis courts, and eight barbeque areas. Two activity centers, and every Wednesday a Mai Tai party at poolside includes live entertainment and occasionally hula dancers. Winter months may also include a large group of Ukelele players. Also a 24-hour front desk, a wake-up service, babysitting, and dry cleaning. Easy short walk to fine restaurants, delis, shopping, and four of the best beaches on Maui. 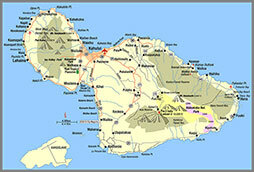 Short drive to most of Maui’s top ten activity attractions and World Class Golf Courses. 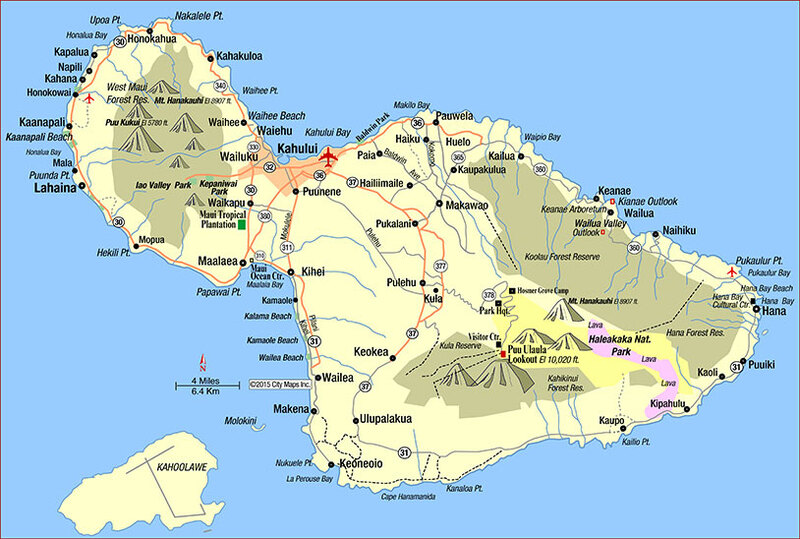 Only 12 miles from the airport – Kahului OGG. or click HERE to use our convenient Contact Form.